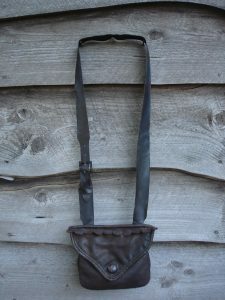 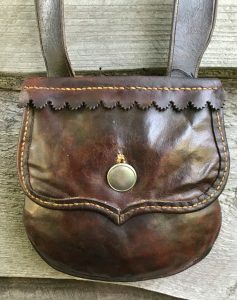 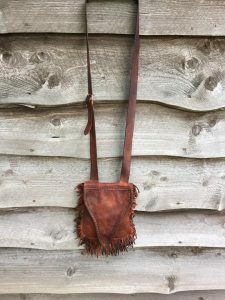 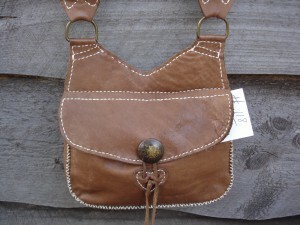 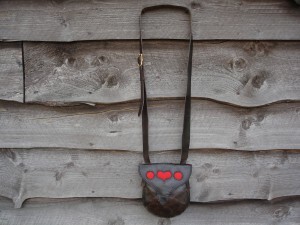 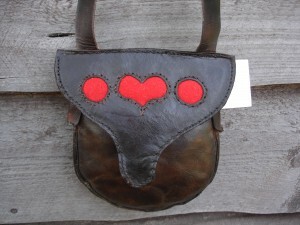 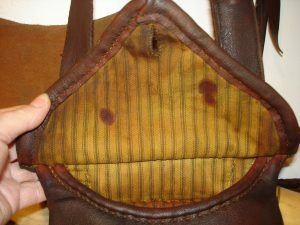 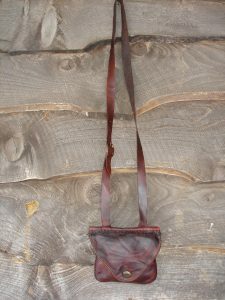 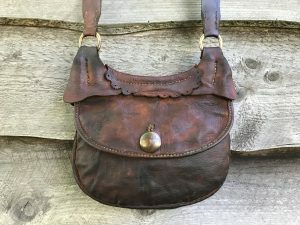 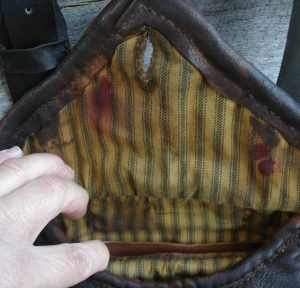 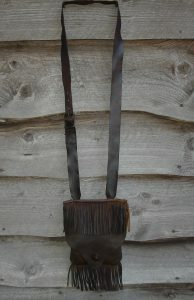 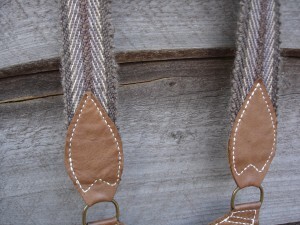 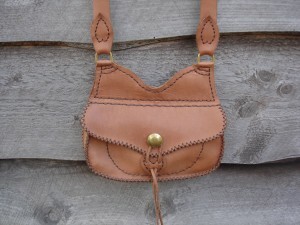 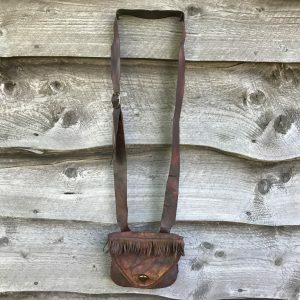 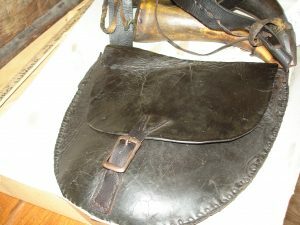 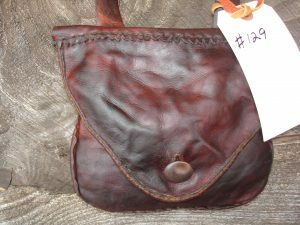 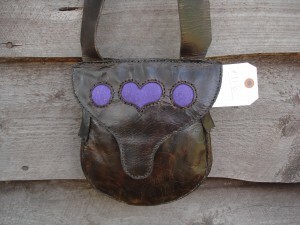 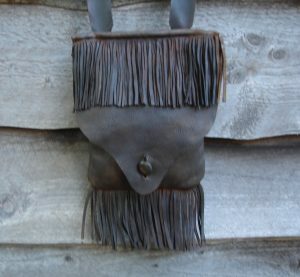 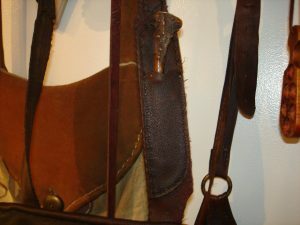 We have assorted sizes of hand stitched, hand-made, leather hunting pouches or leather possible bags. 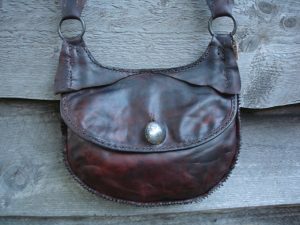 Our leather possible bags are also know as a man purse. 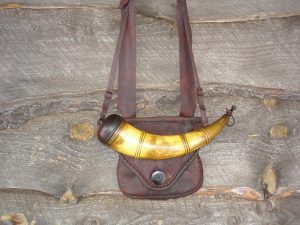 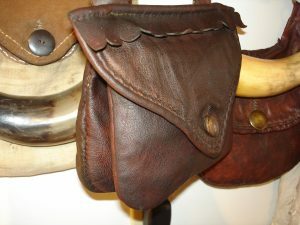 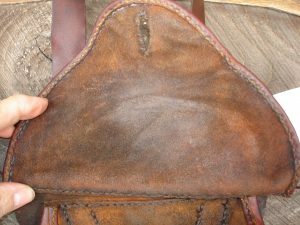 Our leather hunting pouches or leather possible bags are made from assorted leathers, deer, cow, goat. 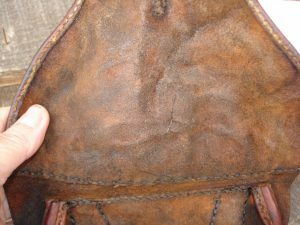 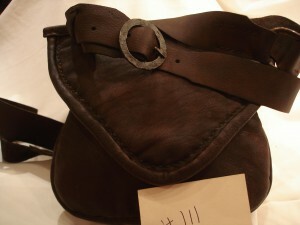 The leather possible bags that are lined have a 100% cotton lining. 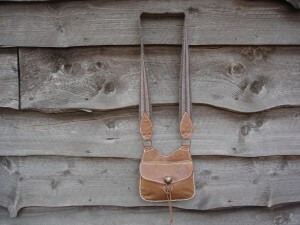 Our possible bags are hand stitched with linen flax thread. 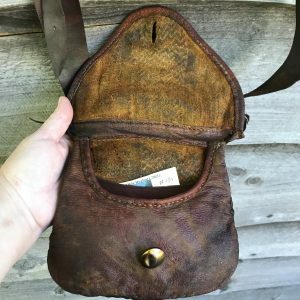 Our possible bags are antiqued. 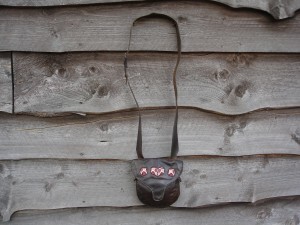 Our hand stitched leather possible bags have either antiqued brass or hand forged iron buckles. 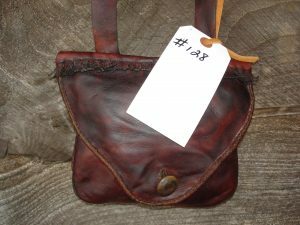 If our hand stitched leather possible bags have a button, we have used an antiqued brass button, pewter button, or buffalo horn button. 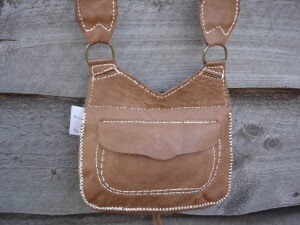 Contact us for pricing, custom orders and the availability of what is on hand of our possible bags. 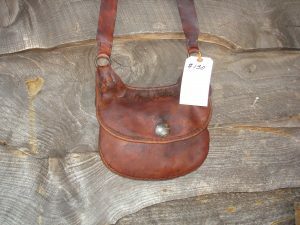 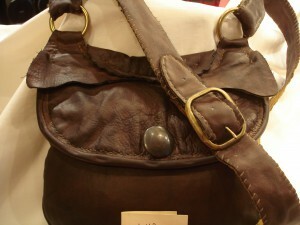 These are the hand-stitched, hand made leather possible bags that we have on hand or have sold. 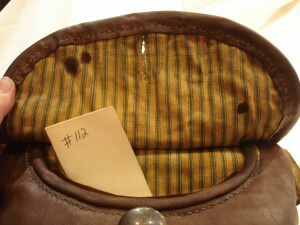 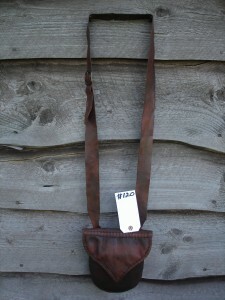 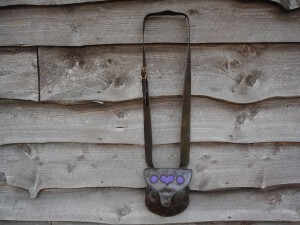 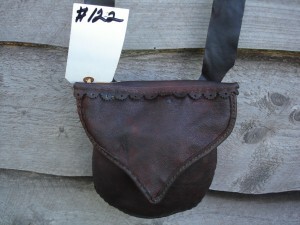 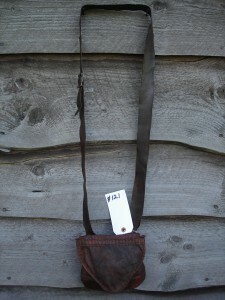 We also have a hand-stitched, handmade leather possible bag # 119 with the initials GB (made by Grey Bear) on the back. 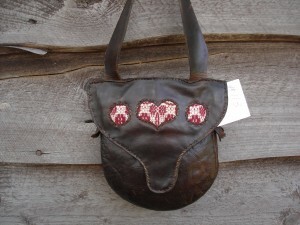 We did not make this possible bag but are reselling it. 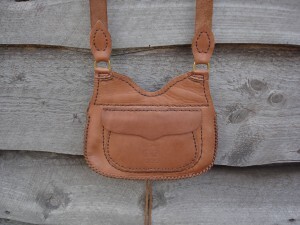 As our possible bags are handmade there maybe a waiting time until we get your custom leather possible bag completed. 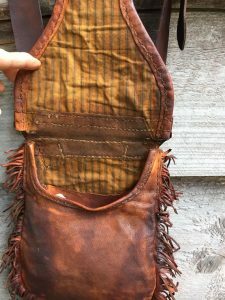 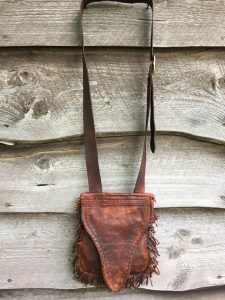 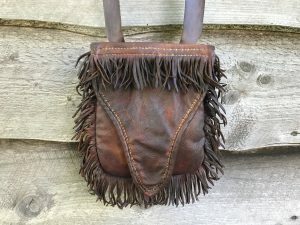 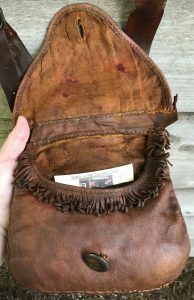 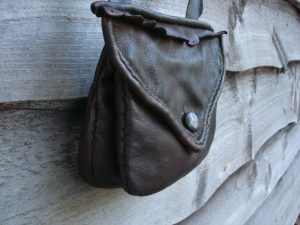 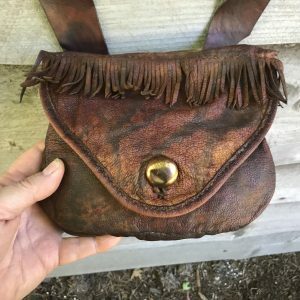 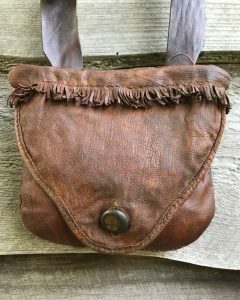 The following hand stitched , hand-made hunting pouches # 108, 109, 110, 111, 112 were SOLD to Colombia Pictures to be used in The Revenant Movie which came out in 2015 or 2016. 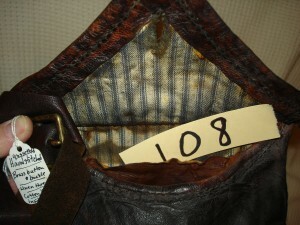 # 108 Possible Bag – SOLD to Columbia Pictures. 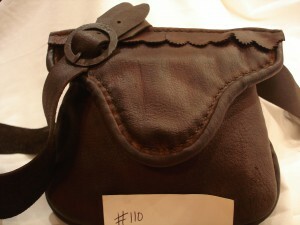 #108 Possible Bag – Sold to Columbia Pictures. 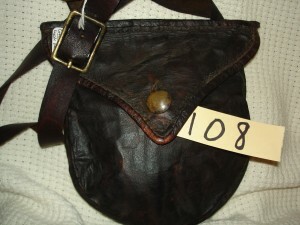 Bag 109 – Sold to Columbia Pictures. 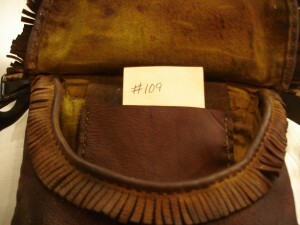 109 inside – Sold to Columbia Pictures. 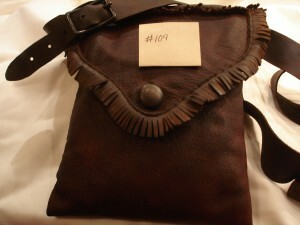 bag 110 – Sold to Columbia Pictures. 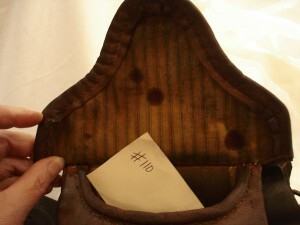 # 110 inside – Sold to Columbia Pictures. 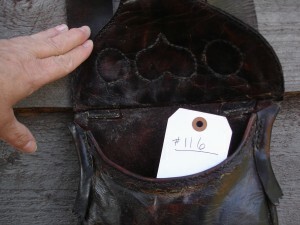 bag 111 – Sold to Columbia Pictures. 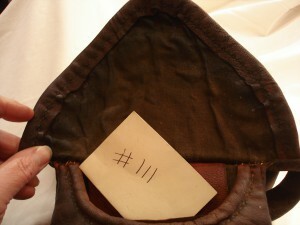 #111 inside – Sold to Columbia Pictures. 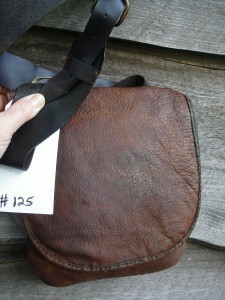 bag #112 – Sold to Columbia Pictures. 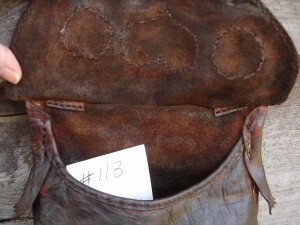 #112 Possible Bag inside – Sold to Columbia Pictures. 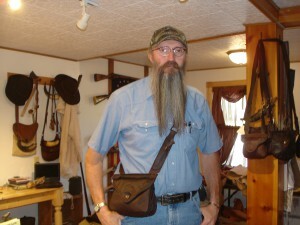 Sold to another satisfied customer Tim Sanner, who ordered my first double hunting pouch, with a knife sheath added. 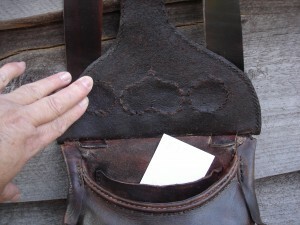 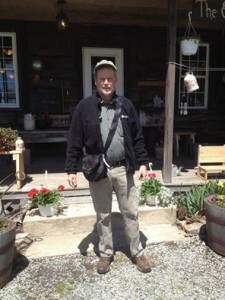 We made a copy of a very old bag and surprised a customer, Jeff Payne with it. 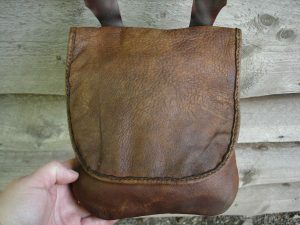 Bag 136 I have made several bags like this one which seems to be a very popular style. 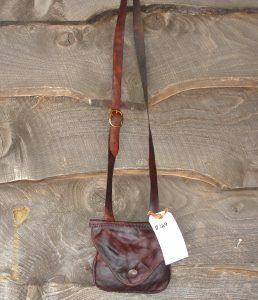 SOLD to a fellow in the state of Washington.